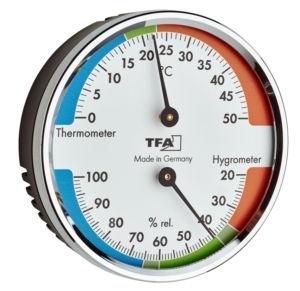 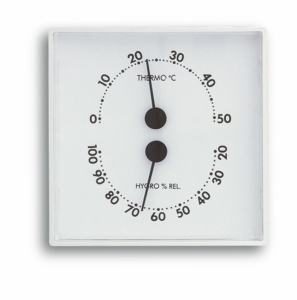 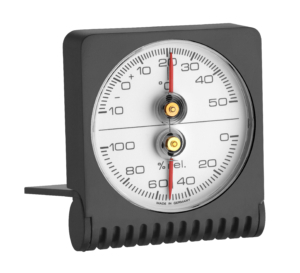 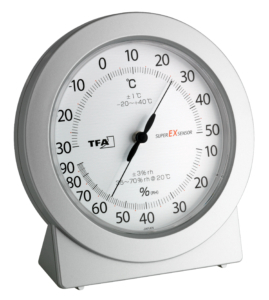 The thermo-hygrometer with metal bezel is an ideal instrument for monitoring the room climate. 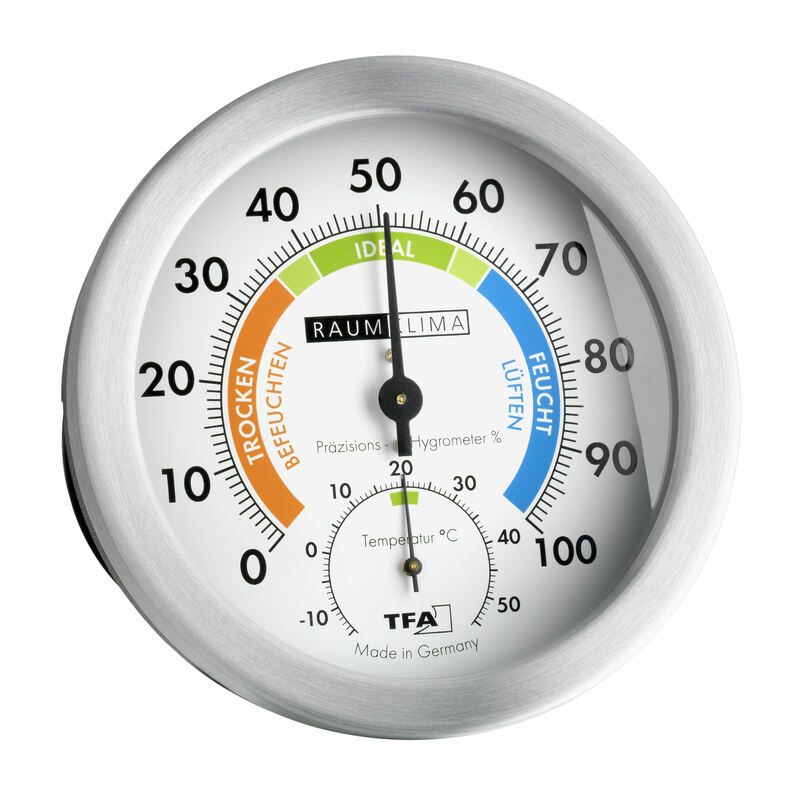 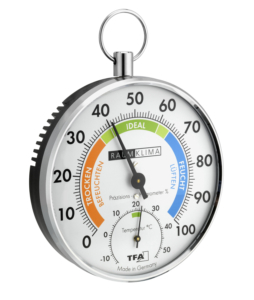 You can easily keep an eye on temperature and humidity and regulate them with targeted heating and ventilation when the values are outside the colour-coded comfort levels. 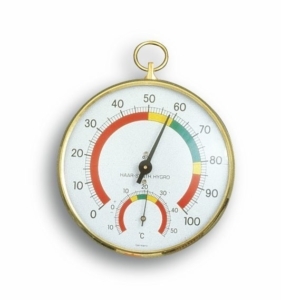 Simply hang up to a wall or place it onto a flat surface.